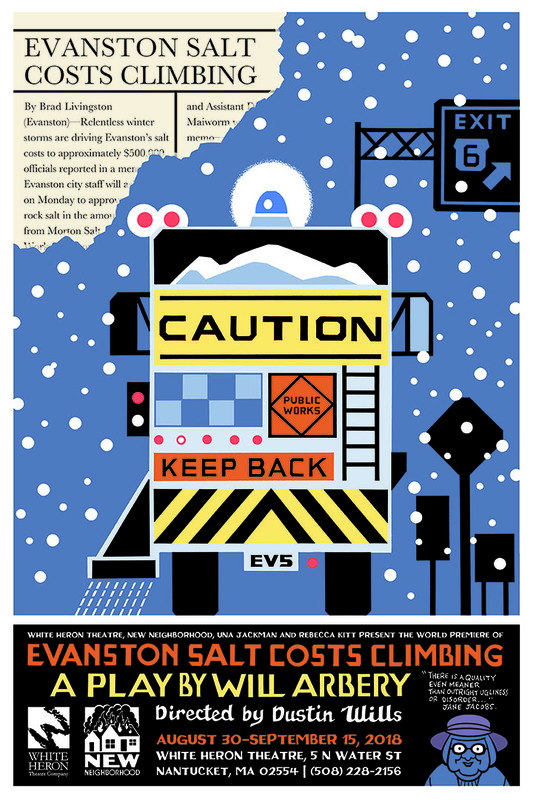 Winters in Evanston, Illinois, are brutal and it’s getting more and more expensive to keep the roads clear. As salt truck drivers Peter and Basil battle one storm after another, Maiworm, the Assistant Director of Public Works, weighs the costs of a groundbreaking de-icing technology. It’s a decision that will test her allegiance to urban planning pioneer, Jane Jacobs, for whom she named her own daughter, and impact the lives and livelihood of her employees. Evanston Salt Costs Climbing is a heartbreakingly funny new play about climate and change. Featuring Justin Kirk, Keira Naughton, Howard Overshown, and Rachel Sachnoff.